With thanks to Ewing (Bud) Carroll, Jr.
Roman Catholic Lectionary Readings (NCCB/USCC) from the New American Bible (Holy Cross). The best film to consult for Jesus’ teaching on forgiveness and his absurdist parable is Martin Doblmeier’s PBS documentary The Power of Forgiveness , which has enough illustrative material for six months of sermons. Ed McNulty, Visual Parables. "Ridiculous Forgiveness and Reasonable Evil," D Mark Davis, Left Behind and Loving It, 2017. Preaching This Week at WorkingPreacher.org, Luther Seminary, http://www.workingpreacher.org 2011. 2008. Preaching Helps (Pentecost +14). Rev. Dawn Chesser, United Methodist Church General Board of Discipleship, 2014. "Road to Freedom," Kathryn Matthews Huey, Sermon Seeds, SAMUEL, UCC, 2017. The Lectionary Lab, Pentecost 14, the Rev'ds Dr. John Fairless and Delmer Chilton (aka "Two Bubbas and a Bible"), 2014. 2011. Jesus Now, Proper (Ordinary) 24A, lectionary, study and worship resources from Faith Futures Jesus Then & Now. Rumors, for September 14, 2008, Ralph Milton, "Sermon helps for preachers with a sense of humor." Sermon Brainwave, Lectionary podcast featuring Profs. Karoline Lewis, Rolf Jacobson, and Matt Skinner, discussing the week's passages in light of current events. At Luther Seminary's WorkingPreacher.org. 2017. "Forgiveness 101," Karoline Lewis, Dear Working Preacher, 2017. "Forgiveness and Possibility," David Lose, ...in the meantime, 2017. "Forgiving 'Seventy-Seven' Times," Janet H. Hunt, Dancing with the Word, 2017. "Forgiveness," commentary and discussion,RevGalBlogPals, 2017. "Looking into the Lectionary," Jill Duffield, The Presbyterian Outlook, 2017. "Never Judge, Always Forgive," Dan Clendenin, Journey with Jesus, 2017. "Mercy in the Air," Glenn Monson, Law & Gospel Everywhere, 2017. The Internet Troll vs The Inner Toll, Alicia Johnston, ON Scripture, 2017. "It Ain't About Math!" Joe T. Mitchell, Modern Metanoia, 2017. A Plain Account, Commentaries, 2017. "Connections," illustrations and thoughts, 2017. "The Story We Can't Believe," Andrew Prior, One Man's Web, 2017. "Forgiveness and Freedom," David Lose, ...in the Meantime, 2014. "You Be the Judge (Not! )," Alyce McKenzie, Edgy Exegesis, 2014. "Accept One Another: The Parable of the Unmercifal Servant," Dan Clendenin, Journey with Jesus, 2014. 2011. 2008. 2005. "From the Heart," Suzanne Guthrie, At the Edge of the Enclosure, 2014. "Forgiveness Is..." Andrew King, A Poetic Kind of Place, 2014. "If You Do Not Forgive," Christopher Burkett, PreacherRhetorica, 2014. "The Hardest Blessing," Jan Richardson, The Painted Prayerbook, 2014. "Working it out for ourselves together," Katie Munnik, Presbyterian Record, 2014. "Forgiven to Forgive," Anna Macdonald Dobbs, Ekklesia Project, 2014. "Forgiving Debts," Lynn Miller, Art & Faith Matters, celebrating our creative and living God by generating art and architecture resources for congregations and individuals. Art and Faith Matters facebook page contains additional resources. "Forgiveness and Its Expectations," Bob Cornwall, Ponderings on a Faith Journey, 2014. "Seventy Times Seven," The Moonshine Jesus Show Lectionarycast, Mark Sandlin and David Henson, 2014. "Forgiving Ethic," Thomas Beam, 2014. Care for Creation Commentary, Dennis Ormseth," Lutherans Restoring Creation, 2014. "Forgiveness and Sending," Sharron R. Blezard, Stewardship of Life, ELCA, 2014. "Losing the Desire to Judge," Steve Goodier, Life Support System, 2014. "The Weasel," Rick Morley, 2014. "Faith, Forgiveness, and 9-11," David Lose, Dear Working Preacher, 2011. 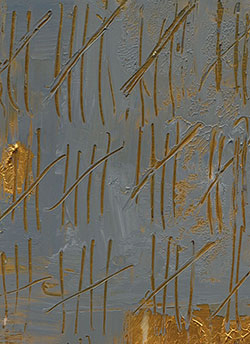 "Radical Forgiveness and 9/11: Reflections on Matthew 18:21-35," Alyce McKenzie, Edgy Exegesis, Patheos, 2011. "From your heart," Suzanne Guthrie, Soulwork toward Sunday: At the Edge of the Enclosure, prayers and meditations, 2011. "9/11," Melissa Bane Sevier, Contemplative Viewfinder, 2011. "The Mathematics of Manusission = Freedom in Forgiveness," Sharron R. Blezard, Stewardship of Life, ELCA, 2011. "Living to the Lord!" Peter Lockhart, A Different Heresy, 2011. "In the Shadow of the Towers," Neil Chappell, a weird thing, 2011. XIII Pentecost, Ann Fontaine, What the Tide Brings In, 2011. Sermon Notes for September 11, Michael Rich, In-Formatio, 2011. "In the Lord's Hands," Bob Cornwall, Ponderings on a Faith Journey, 2011. "Forgiving from your heart," the Rev. Dr. Alexander Evans, Day 1, 2014. "Forgiving 70 times seven," the Rev. Dr. Susanna Metz, Sermons that Work, Episcopal Digital Network, 2014. Propio 19 (A) – 2014 por Revdo. Abel E. Lopez, Sermones que Iluminan, Episcopal Digital Network, 2014. Ministry Matters, September 14, 2014. "A Path from God," Weekly Sermon Illustration, Frederick Buechner, Buechner Blog. "An Exhortation to Forgiveness," Dr. Courtney Cowart, Day 1, 2011. "I Wonder Why Bad Things Happen to Good People," the Rev. Charles Reeb, Day 1, 2005. Bible Study, Proper 19A, 2014, Steven Balke, Sermons that Work, Episcopal Digital Network. Estudio de la Biblia. Propio 19 (A), por Steven Balke, Sermones que Iluminan, Episcopal Digital Network, 2014. "Road to Freedom," Weekly Seeds, UCC, 2017. Worship Planning Helps (Pentecost +14): Worship & Preaching Notes, Hymn Suggestions and Worship Resources from the United Methodist Church General Board of Discipleship. Mustard Seeds, "Coping with Difference/Forgiveness/Rescue," Proper 19, 2017. A lectionary-based ideas resource for leaders of contemporary worship, Ann Scull, Gippsland, Australia. Lectionary Liturgies, Ordinary 24, Thom M. Shuman, Presbyterian Church (U.S.A.), 2017. Lector's Notes, OT 24, Gregory Warnusz, Saint Jerome Parish, Bellefontaine Neighbors, MO. Notes and commentary for those reading this week's lectionary texts to the congregation. Worship Resources (prayers, etc. ), Proper 19A, John van de Laar, Sacredise. "Liturgy: prayer reflection", reflections on the collect at the Eucharist, Rev. Bosco Peters, New Zealand. BCP. Common Worship (CofE). 21st Century Worship Resources, Pentecost +14, UMCDiscipleship.org. Offertory Prayers, Pentecost +14, UMCDiscipleship.org. The Timeless Psalms: Psalm 114,, Joan Stott, prayers and meditations based on lectionary Psalms, 2017. Clip Art, Ordinary 24, Fr. Richard Lonsdale, Resources for Catholic Educators. 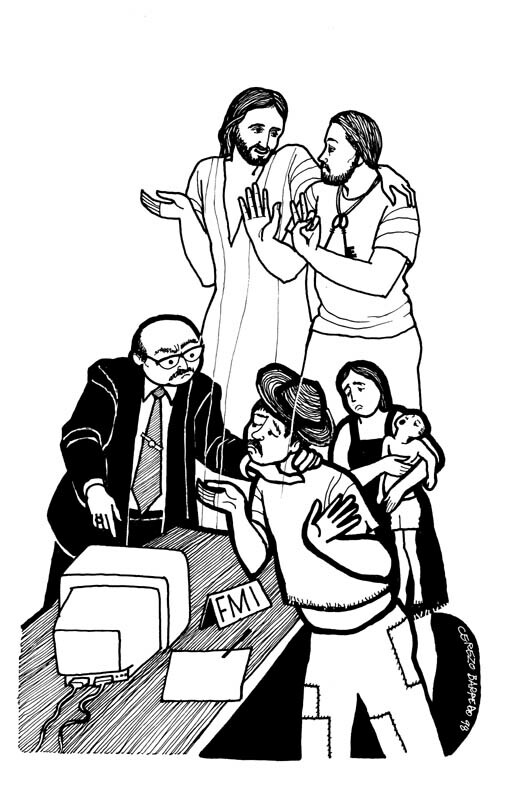 Clip Art Images: Matthew 18:21-35, Misioneros Del Sagrado Corazón en el Perú. Mustard Seeds, "Coping with Difference/Forgiveness," Proper 19, 2011. A lectionary-based ideas resource for leaders of contemporary worship, Ann Scull, Gippsland, Australia. "Note Cards," video, John Stevens, Dollar Store Children's Sermons, 2014. Hymns of the Spirit Three, Proper 19A, Richard E. Hurst, Universalist National Memorial Church. Psalm 114 set to Old 100th (LM 88 88), Psalm 103:1-13 set to St Thomas or Festal Song (SM), by Dale A. Schoening, Metrical Psalms. Hymn and Song Suggestions, Proper 19A, 2014, annotated suggestions from Natalie Sims, Singing from the Lectionary. Lectionary Hymns, Pentecost +14, UMCDiscipleship.org. Shepherd Sounds, Pentecost +13, Background information for hymns and choral music following the lectionary from the Episcopal Church of the Good Shepherd, Austin, Texas, by Eric Mellenbruch and David Zersen. Lectionary Puzzles, Proper 19. Word search puzzles in RTF or plain text, by Reg McMillan, St.Stephen's Presbyterian Church, Peterborough, Ontario. "Storypath Lectionary Links: Connecting Children's Literature with our Faith Story," September 14, 2014, Union Presbyterian Seminary. "Marbles," Dollar Store Children's Sermons, 2017. "I wonder where you are in this story,", Proper 19A, Frances Woodruff, On the Chancel Steps. Mustard Seeds, "Coping with Difference/Forgiveness/Rescue," Proper 19, 2014. A lectionary-based ideas resource for leaders of contemporary worship, Ann Scull, Gippsland, Australia.